We have provided our services to a wide range of happy customers, both small and big. We have an active partnership with Autodesk to develop and maintain various tools inside their flagship digital content creation app 3ds Max. We created and integrated the data layering and pass management system called State Sets. We also developed a compositing workflow and interoperability of 3ds Max data with Adobe After Effects. Many studios and users use and depend on our work within 3ds Max to make their creative projects a reality. We also created the base .NET wrapping mechanism which allows using 3ds Max C++ SDK though Microsoft's .NET framework, thus simplifying development process for tool creators. 3ds Max SDK, MaxScript, .NET, Qt, and many other libraries are heavily used in this project. CG Breakdown is a leading provider of training and reference for the Maya-centric computer graphics community. 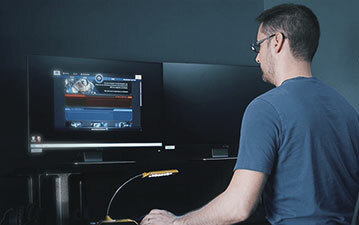 We were contracted to create a stand-alone application together with an Autodesk Maya plugin which acts as a portal into their database of CG assets. User is able to browse, download, and directly reference various assets within a Maya scene inside our visually sharp application. We used Qt, Python, and Maya API extensively for this project. Windows, Linux, and OSX are supported. 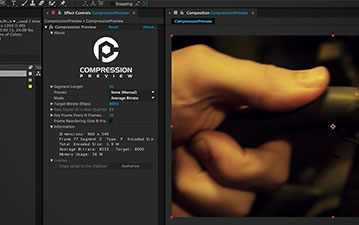 We were commissioned to create a filter plugin for Adobe After Effects which accurately previewed the look of various compression methods directly onto a video, in real-time. The plugin allows a user to see how their final video will look on Vimeo, YouTube, or any other target platform without having to render it first. After Effects API, scripting, and H.264 codec libraries were used in this project. Windows and OSX are both supported. 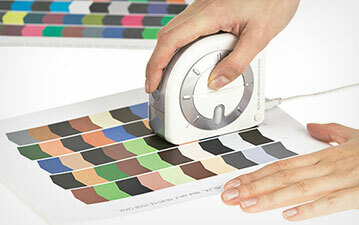 X-Rite provides a world-standard solution for monitor calibration and color managmenent. 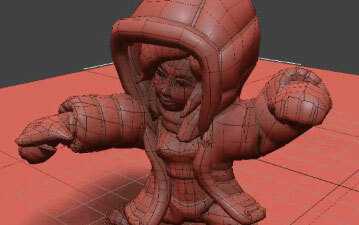 We were commissioned to create a plugin for 3dsmax which acted as a companion to their ColorMunki product. The plugin allowed using managed colors accurately recorded from real-world data inside 3dsmax scenes. 3ds Max SDK, Win32 API, and ColorMunki API were used to create this project. We developed a tool for CrystalCG to scan a scene and find any objects which contain overlapping geometry. The geometry is then automatically adjusted and fixed to remove any direct overlap to prevent any rendering artifacts. This helped CrystalCG to work more efficiently with their large library of architectural renders by saving valuable time by avoidining manual clean up of large scenes. 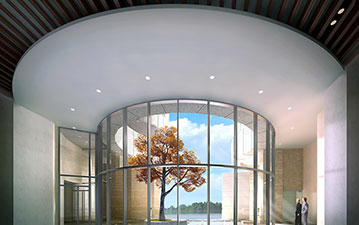 3ds Max SDK and our custom geometry libraries were used in this project.